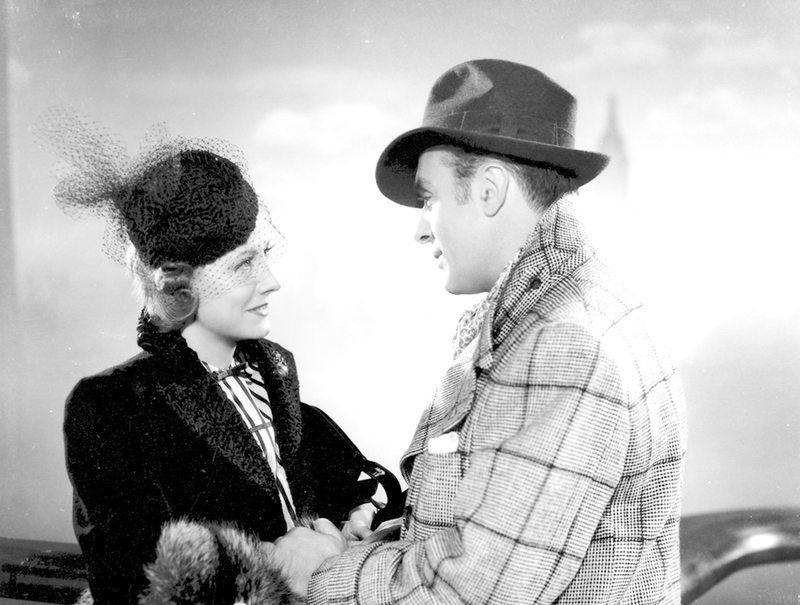 Leo McCarey, Love Affair, 1939, 35 mm, black-and-white, sound, 88 minutes. DIRECTOR LEO MCCAREY was an on-set improviser, routinely jettisoning reams of screenplay to be replaced, he hoped, by happy (and funny) accident. When the muse was proving elusive, he would retreat to a piano he kept at hand for just such occasions, and tickle the ivories until the music coaxed her out of hiding. 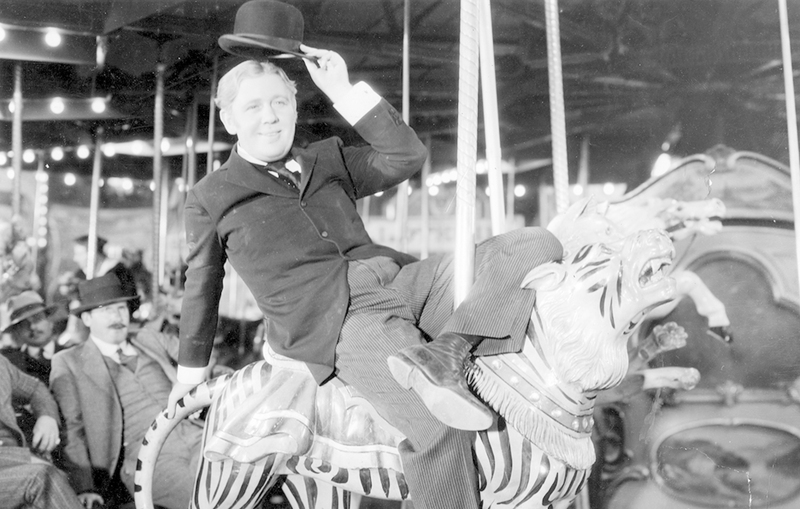 The atmosphere of collaborative creativity that he fostered during a career that began in the 1920s acted as an incubator to the star personas of Laurel and Hardy and Cary Grant and, in Make Way for Tomorrow (1937), got star performances from two less heralded names, Victor Moore and Beulah Bondi. Orson Welles said of that film that it “would make a stone cry.” Kōgo Noda reportedly took inspiration from it for his screenplay for Yasujiro Ozu’s Tokyo Story (1953). Jean Renoir adored McCarey, once stating that he “understands people better perhaps than anyone else in Hollywood.” McCarey was parochial and universal. His approach was, as the saying goes, “revolutionary,” though like more than a few revolutionary artists he found the prospect of actual revolution abhorrent. He was both devout Catholic and a right-winger—and a sharp satirist of the institutions which he held dear. The Museum of Modern Art’s McCarey retrospective expresses the paradoxical personality evident in McCarey’s films in its title: “Seriously Funny.” One of McCarey’s signature moves is a stop-on-a-dime turn to sobriety, the discovery of a little patch of holy ground in the midst of light badinage: Bulbous butler Charles Laughton quieting a western saloon with his recital of the Gettysburg Address in Ruggles of Red Gap (1935); Irene Dunne and Charles Boyer’s inconsequential flirts, suddenly brought to a recollection of their immortal souls while kneeling in a chapel in Love Affair (1939). While the Criterion Collection’s release of Make Way for Tomorrow has gone some way toward redressing the shameful state of the availability of McCarey films on home video, there’s still much ground to cover, so in the meantime MoMA’s 35-mm-heavy program will have to pick up the slack. McCarey was born in 1898 to an Irish-Catholic family in Los Angeles, but he only joined the local Industry after failing as a lawyer, copper miner, vaudeville songwriter, and middleweight slugger. (His father was the ballyhooed boxing promoter Thomas J. McCarey.) He entered the picture business through an apprenticeship with the director Tod Browning, who would shortly distinguish himself with a series of ghoulish Lon Chaney pictures, while McCarey found his own métier at Hal Roach Studios, a factory for short-subject comedies, where he cut his teeth writing gags for Sunshine Sammy, Farina, and the rest of Our Gang. MoMA has divided the surviving products of McCarey’s Roach period among five different shorts programs. One is dedicated to Charley Chase, a spry, bow-legged, lean-sided Baltimorean silent comic unjustly forgotten today, who was something of a mentor to McCarey. Their “Gift of the Magi” goof Mighty Like a Moose (1926), which features a post–plastic surgery couple obliviously cheating on each other with each other, is a scream, and features on an opening-night program with recently rediscovered short The Battle of the Century (1927), starring the Anglo-American duo whom McCarey is sometimes credited with first teaming, Stan Laurel and Oliver Hardy. In fact there’s very little that McCarey didn’t have a hand in at Roach Studios after he became director-general in 1926—so even if the Max Davidson short Pass the Gravy (1928) bears the imprimatur of one Fred Guiol, the masterful control of tempo with which it builds its central dinner table set-piece speaks of McCarey’s serene conductorship. Davidson, a diminutive Berlin-born comic who specialized in playing threadbare Old World Jewish patriarchs whose shiftless New World offspring drove his eyebrows into extraordinary contortions, has a much-overdue showcase in MoMA’s program. These films belong to a period in American entertainment characterized by free, rough ethnic humor, before the Production Code Administration tamped things down—the Marx Brothers got their start doing immigrant burlesque, but only Chico kept his Italian shtick up into the pictures. McCarey directed their maddest movie, Duck Soup (1933), as he was moving over to features at the start of the ’30s, a period otherwise represented at MoMA with proto-screwball Part Time Wife and Let’s Go Native (both 1930), a Broadway-revue-stranded-on-a-desert-island yuk-fest with Jeanette MacDonald and Jackie Oakey. Leo McCarey, _Ruggles of Red Gap, 1935, 35 mm, black-and-white, sound, 90 minutes. Ruggles of Red Gap is a kind of laughing gas turnaround of the Henry James transatlantic itinerary, bringing Laughton’s manservant and his ex-employer, the shy, stammering Earl of Bumstead (Roland Young), to the not-quite-tamed American west c. 1915, where they get swept up in the egalitarian ho-down. Ruggles has its antic moments, but here McCarey’s approach is more observant, revealing nuances of character in small-scale set-pieces, like Young accompanying Leila Hyams’s dancehall chanteuse on drums as she warbles “Pretty Baby.” The Awful Truth (1937) is generally classed with screwball comedies, but McCarey has no interest in setting a land-speed record for snappy wisecracks—he just wants to kick back and watch Grant and Dunne go at it, and especially watch the fond pleasure that they take in one another’s mortification, as when a sparklingly spiteful Grant looks on while Oklahoman Ralph Bellamy galumphs Dunne around a Manhattan nightspot. (Remember the on-set piano: Music is always key for McCarey, as is love, a matter of shared harmony.) It was released in the same year as Make Way for Tomorrow, a film that moves at a pace appropriate to its pokey, elderly protagonists, a long-married couple divvied up between their adult children, waiting for a reunion that they know will never come, failed by a family safety net eaten away by self-interest. By the time McCarey’s Love Affair arrived there was no-one working who could balance the spiritual and carnal, not to speak of the saccharine and sublime, with such seeming ease. Much of McCarey’s critical reputation rests on this hot-hand run through the 1930s, cut short by a 1940 car accident that took him off the set of Grant-Dunne reunion My Favorite Wife and left him temporarily wheelchair-bound. Like the old gag goes, his big concern was playing the piano again, but he regained use of his left hand and bounced back with his biggest mega-smash to date, Going My Way (1944), which introduced fellow Roman Catholic Bing Crosby in the character of crooning hip priest “Chuck” O’Malley, returning in the following year’s sequel The Bells of St. Mary’s paired with a nun played by Ingrid Bergman, working together to save an inner-city school while simultaneously quashing an unstated romantic yearning. By McCarey’s own testimony, Bergman’s character in Bells of St. Mary’s was inspired by his aunt, Sister Mary Benedict of the Immaculate Heart Convent in Hollywood, who died in a typhoid epidemic. Far from an impersonal studio clock-puncher, McCarey was a relentlessly personal filmmaker, with all of the foibles and excesses that that implies. (In a day when many commentators praise fan-service above personal vision, the idea that an artist’s strengths and weaknesses could be inextricable from one another is increasingly foreign.) Anti-Communist drama My Son John (1952) is the film that linked McCarey’s rowdy democratic vision to McCarthyite bughouse paranoia, a work that his reputation has struggled upstream against ever since. (It isn’t included in MoMA’s program, but is available on various streaming services.) For about half of its runtime, when educated-above-his-station college boy snoot Robert Walker visits mom and dad (menopause-flustered Helen Hayes and jingo buffoon Dean Jagger), it’s prime McCarey—but then a Make Way for Tomorrow–esque study in familial dysfunction doesn’t survive the sharp pivot into a defense of same hearth and home. Plagued by chronic aches and a painkiller habit that had lingered since his accident, as well as a longtime fondness for the bottle, McCarey worked sporadically for the rest of his life. An Affair to Remember (1957), a DeLuxe Color auto-remake of his own Love Affair that uses Grant and Deborah Kerr, is for some the last surfacing of his old talent, though for all its significant pleasures it feels like a holding pattern, whereas cracking suburban satire Rally ’Round the Flag, Boys! (1958) is something new and exuberant, a true comeback sans proper follow-up, in which McCarey is seemingly revitalized by young stars Tuesday Weld (a babysitter with beatnik vocabulary), Joanne Woodward, and Paul Newman, who plays a rip-snorting, chandelier-swinging drunk scene. These were a new breed of American actor, or so the papers were saying, just as a new breed of filmmaker was soon to bring an unprecedented emotional candor to the screen in the likes of John Cassavetes’s Shadows (1959), and everyone forgot about old red-baitin’ Leo McCarey working off-the-cuff, noodling away at his piano. I’ve never heard any description of the sort of melodies he played during those moments of take-five repose, but imagine them as meandering, sweet, sometimes maudlin, a little bit of barrelhouse and a little bit of church, the entire effect ineffably charming. “Seriously Funny: The Films of Leo McCarey” runs July 15 through 31 at the Museum of Modern Art in New York.